Beloved and I had dinner at Dragon Chef last night. This, I assume, newly-opened Chinese restaurant is located at the fourth floor alfresco area of Trinoma, right beside Cyma and Chophouse. It didn’t replace any restaurant there, it just took a part of the newly-renovated Greek resto. I was doing some Christmas shopping at the said mall and Beloved accompanied me. When we got hungry, we somehow found ourselves on the fourth floor, and found this new place. After seeing that it’s a Chinese restaurant and knowing that Chinese restaurants are usually a good deal, we decided to try it out. The menu was your typical Chinese restaurant menu, save for some dishes named after famous Chinese actors and actresses, which were really just typical Chinese dishes named as such. Price-wise, they were a little bit over than what we were used to. Beloved and I were feeling a bit under the weather, so I suggested getting a soup dish. 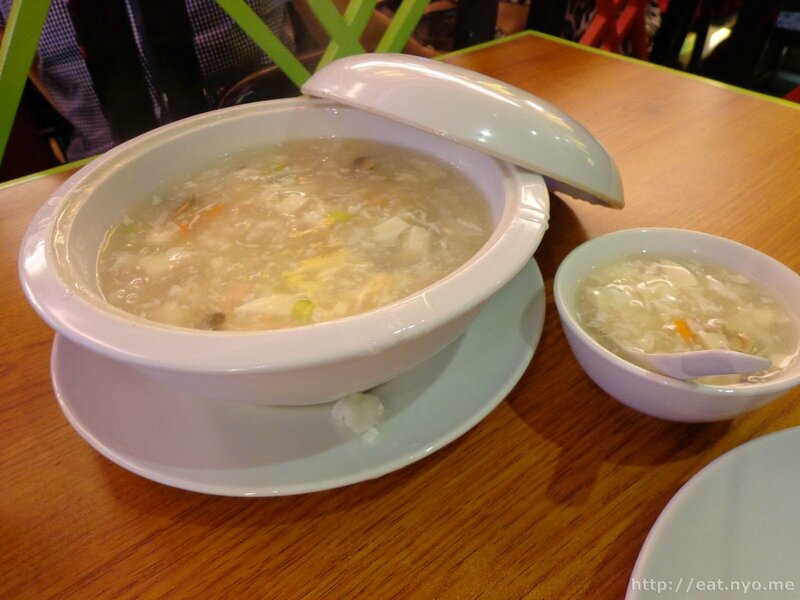 We settled for their** Seafood Beancurd Soup** (238 Php). Beloved half-surprisingly suggested we get their vegetarian dish, the Braised Beancurd with Black Mushroom (278 Php). 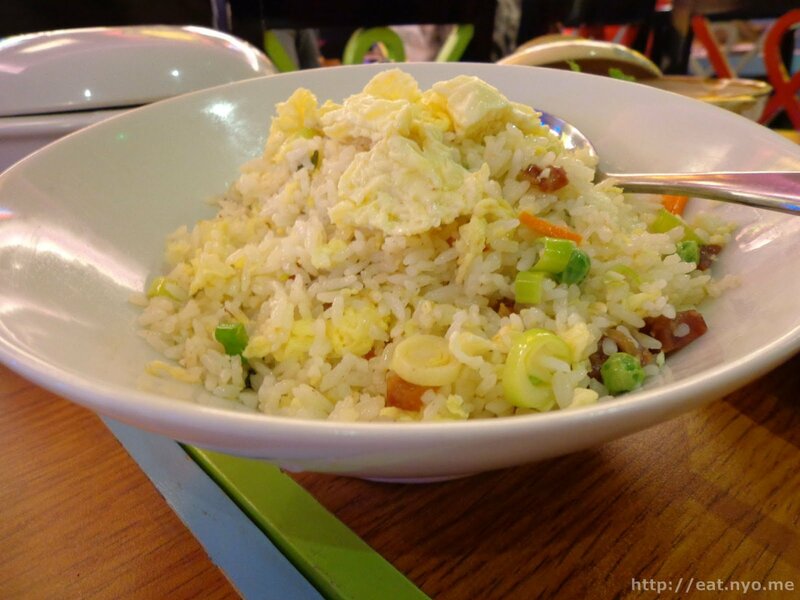 For our starch, we got their** Chinese Sausage and Egg Fried Rice** (248 Php). 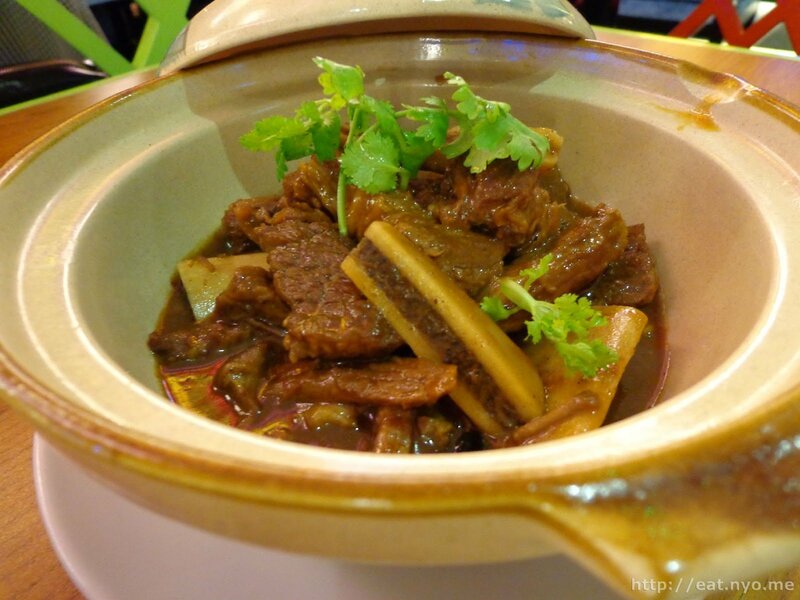 I thought this was more than enough for the two of us, but Beloved isn’t used to a meal without meat, so we also got their John Woo (398 Php), a pot-braised beef dish. …Which arrived all at once. I’ll start with our vegetarian dish, the Braised Beancurd with Black Mushroom. Servings wise, this could feed at least three, maybe four. Spoilers: this was the best dish of the night. Beloved, who used to dislike mushrooms that are not of the button kind, surprisingly enjoyed the soft and meaty shiitake/black mushrooms, which I used to enjoy a monopoly of when we ate out. The tofu was lightly fried and had the same consistency as the ones in our soup—very, very soft—but in much larger chunks. Aside from the two advertised ingredients, there were bits of carrots, which provided the crunchy contrast, and Chinese cabbage, or bok choy, which provided a less crunchy but still a contrast of texture. They were covered in some sort of sweet, thick oyster sauce which went well with everything. Being a Chinese restaurant, they offered quite a few varieties of fried rice. We chose their Chinese Sausage and Egg Fried Rice because Beloved liked the two ingredients advertised. Ironically, this was a less quantity than I’m used to seeing in Chinese places, but it could still pretty much serve at least three. It had the typical salty Chinese fried rice taste with the usual Chinese fried rice toppings, just replace ham with Chinese sausage which pretty much taste the same. Although I would’ve preferred their salted fish fried rice or yang chow, this was pretty good too. Finally, here’s our meat dish, John Woo. These were beef ribs braised in a clay pot. 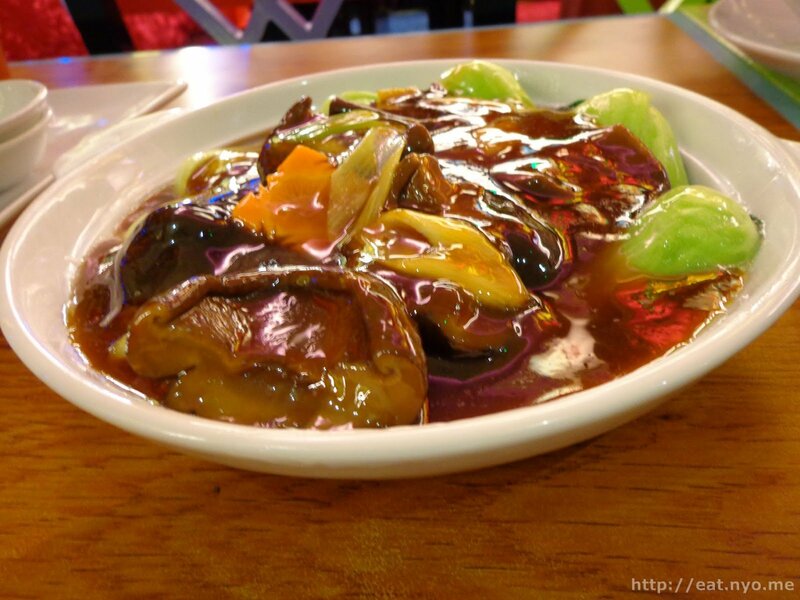 Beloved describes this as a typical Chinese braised dish, having a sour flavor and tender meat. I disliked it taste-wise. Also, I found it not as soft and tender as I’m used to. Yes, it’s still tender such that it required little effort to chew. For its price and disagreeable flavor, I found this the worst dish among our orders. Three hits out of four was not bad at all. Adding service charge, we had to pay more than 1.2k. However, we practically ordered stuff good for three hungry patrons or four normal people. We didn’t manage to eat everything. In fact, we had to take home half our soup. And the rest of our dishes, save for the wonderful Braised Beancurd and Black Mushroom dish, had a servings worth of leftovers. Had we forgone the meat dish, or maybe replaced it with dimsum, it would’ve been perfect. Although this was slightly a bit more expensive than other Chinese restos we’ve tried, Dragon Chef was still worth the visit. Location: Trinoma, 4th floor alfresco area. Budget: ~300 Php per head. Recommended for: Parties of Chinese food lovers. Not recommended for: Impoverished eaters, loners. Smart nomnomnom tip: All their dishes are good for at least three.